In mid-August 2018, Taiwan’s president Tsai Ing-wen undertook her fifth journey abroad since taking office. In view of the dwindling number of countries maintaining official diplomatic relations with Taiwan, this is an increasingly precarious task. The nine-day state visit to Paraguay and Belize itself went very well. But right after her August 20th return to Taipei, the news broke that El Salvador was switching to Beijing, leaving Taiwan with only 17 formal diplomatic allies. El Salvador is the fifth nation to switch official recognition to Beijing since President Tsai took office in May 2016, following Sao Tome and Principe, Panama, the Dominican Republic and Burkina Faso. Below we discuss the break of relations and focus on the international reactions and implications for Taiwan’s future relations with the United States, the European Union, and other democratic nations in Asia. The next morning, the underlying significance of that statement became clear, when Taiwan foreign minister Joseph Wu – who had been on the trip – called an early-morning press conference and announced that Taiwan was severing its diplomatic relations with El Salvador. 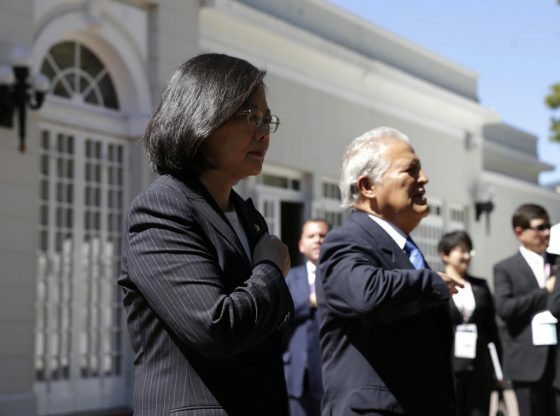 Wu said that the Taiwan government had known that El Salvador was in negotiations with Beijing since June 2018. He said he and the Tsai administration had done everything possible to persuade the El Salvador rulers to reconsider, but to no avail. He mentioned that the Central American nation asked Taiwan for an “astronomical sum” of financial aid, which Taiwan decided to reject. Wu accused China of engaging in money diplomacy to lure away Taiwan’s allies, but stressed Taiwan will not back down, and will continue to fight for a place under the sun. Wu said Taiwan will halt all bilateral cooperative projects, cut all assistance to El Salvador, and pull out its diplomatic staff and technical missions from the country that had ties with the Republic of China since 1933. A few hours after the announcement in Taipei, El Salvador’s foreign minister Carlos Castaneda turned up in Beijing with Chinese foreign minister Wang Yi at a ceremony to mark the establishment of diplomatic relations. However, unlike previous occasions when a loss of a diplomatic ally by Taiwan hardly evoked any reactions from the US or Western Europe, this time there were some powerful responses. The leaders of El Salvador’s governing party have made this decision, which will have implications for decades to come, in a non-transparent fashion only months before they leave office. This is a decision that affects not just El Salvador, but also the economic health and security of the entire Americas region. The El Salvadoran government’s receptiveness to China’s apparent interference in the domestic politics of a Western Hemisphere country is of grave concern to the United States and will result in a re-evaluation of our relationship with El Salvador. In addition, a number of US lawmakers expressed their support for Taiwan following the termination of diplomatic ties with El Salvador. US senators Cory Gardner and Marco Rubio introduced an amendment to a “minibus” appropriations bill on restricting US funding to the Central American nation. 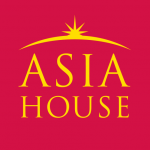 The broader strategy of President Tsai and her government is two-fold: on the one hand attempt to maintain the formal relations with its existing diplomatic allies and on the other hand strengthen the informal but increasingly substantial relations with the United States, the nations of the European Union, and other democratic nations in Asia. The irony is that, while the former is often perceived as an uphill battle (particularly in view of the increasing economic and political sway the PRC is able to generate) the diminishing number of official diplomatic allies is increasingly seen by the US and European nations as a reason to strengthen ties with Taiwan. After all, the argument goes, Taiwan is one of the few democracies in East Asia, and if peace and stability in the Indo Pacific are major objectives for US and European policies, it is essential that this vibrant democracy continues to exist and can find its rightful place in the international family of nations. Representative Michael McCaul of Texas, chairman of the Homeland Security Committee in the US House of Representatives, said in a July 2018 speech at the American Enterprise Institute: “I think at some point we’re going to have to recognize the independence of Taiwan”, while Ted Yoho of Florida, the Chairman of the Subcommittee on East Asia & Pacific has talked about a “new status quo”. These reactions to El Salvador’s move clearly show that Taiwan is right in the middle of a momentous transition: the more existing formal allies are whittled away by the PRC, the stronger the voices in the West arguing in favour of normal relations with the democratic island nation. Gerrit van der Wees is a former Dutch diplomat who served as editor of Taiwan Communique from 1980 until 2016. He teaches History of Taiwan at George Mason University. Image credit: CC by Visita Oficial de Presidenta de República de China (Taiwan)/Flickr.